Or from your local bookshop! This is absolutely brilliant and had to be shared. Trouble with the media is apparently nothing new. 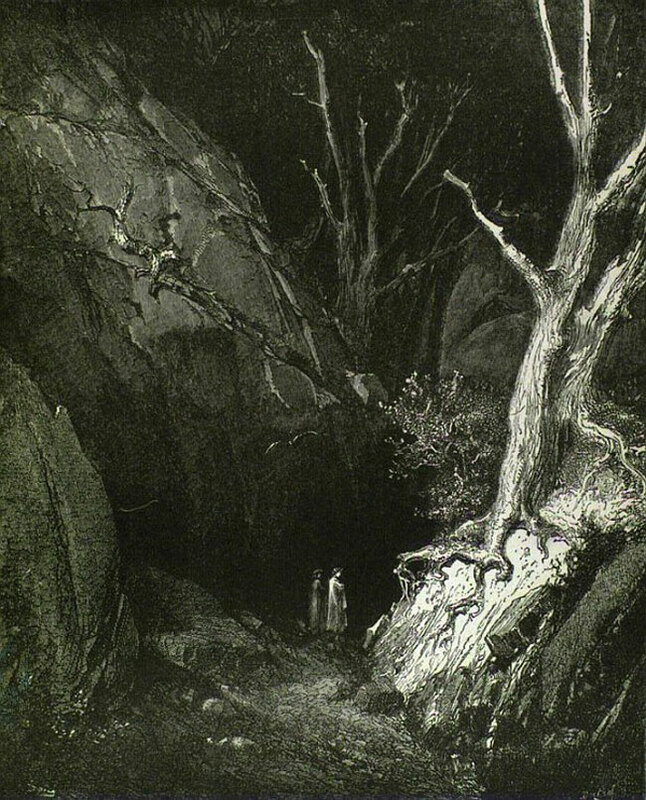 In The Warden (1855), the first book in what would become the Chronicles of Barsetshire, Anthony Trollope (1815-1882) explores the clashes between public and private, institution and individual, abstract and particular, in the aged person of Septimus Harding and his crisis of moral conscience arising from reformist attacks on his wardenship of Hiram’s Hospital in the quiet and unremarkable cathedral town of Barchester. All is well until his young friend John Bold decides to investigate the grounds on which Harding receives the income from the medieval bequest which is in the gift of his old and somewhat ineffectual friend the bishop. Bold’s naivety in thinking to separate his friendship with Harding from his attack on the institution of the Church is most pronounced in his enlisting the The Jupiter (The Times), whose thunderous pronouncements on the iniquity and inequity of clerical privilege and simony are notorious and hugely influential, and make no allowance for the tragedy of the individual caught in the middle of institutional conflict and reform. That media pronouncements which elide fact and comment at the expense of private individuals should strike one as so strongly contemporary says something both for the legitimacy of Trollope’s concerns at the influence of the media on public opinion as well as for the apparently inevitable sensational tendencies of newspapers. It is a strength of the novel that it does not simply reduce the legitimacy of Bold and The Jupiter’s attack on clerical gifts to that of their methodology. They may well have a point. However, it is not the fact – if indeed there is any such fact – of Harding’s entitlement or lack thereof which matters particularly, except to the warden himself, in this novel. Trollope’s concern is with the manner in which one’s duties are carried out, one’s defences laid, one’s attacks prosecuted. Those who defend Harding, the formidable Archdeacon Grantly in particular, do so not in the warden’s individual interest, but in the interest of the public institution of the Church; it is a battle of wits built on partisan presumption, rather than moral reflection. Trollope’s evocation of Harding’s lost innocence is most striking in the image of the Hospital’s walled garden: pristine and loved by the warden, this garden stands as a symbol for the loss of his timeless paradise. As his fortunes falter, so does the garden. We shouldn’t forget that ‘paradise’ derives from the word for walled enclosure or garden. As Adam and Eve gained their knowledge of good and evil at great expense, so Harding’s awakening to the moral complexities of his own case strips him of his comfortable position. The Warden’s charm lies in its subtle and humorous playing out of one man’s isolation at the hands of his own conscience whilst institutions do battle around him; in its emphasis on the complexities of the individual case in the face of sweeping public pronouncements; and in a warm but ambivalent nostalgia for the provincial Church life so clearly disappearing in the face of progressive social agendas. One of the excellent things about PEL editions is that they place their essays after the novel rather than before. I never read introductions beforehand for, as the PEL series editor has pointed out, it is best to approach the story without one’s interpretation having been nudged in some particular direction. Frankly, it takes half the fun out of it. 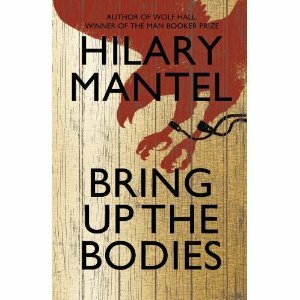 Having said that, I find that the best commentaries make me feel that I need to go and read the book all over again. Robin Gilmour’s essay is very good indeed, providing a lot of the context of The Warden’s original publication amidst the anti-clerical editorials of an all-powerful Times. He also highlights Trollope’s subtleties of symbolisation in the opposition of Barchester and London, and the journey of moral conscience Harding undergoes as he moves between the two: details easily missed on a first read-through. That Trollope’s heart was with the country and the cloister is hard to doubt, even if, as is so often the case, his head could see all too clearly the demand for modernisation and the equitable distribution of heretofore protected clerical gifts. These days, we would probably have an enquiry. I’m reviewing Mrs Bridge as part of the Penguin proof group on Google +. Ostensibly an innocuous collection of episodes spanning her adult life, from marriage to the onset of old age, Evan S. Connell’s novel is a brilliant study in the alienation and infantilisation of India Bridge, whose life is circumscribed by her husband, her children, and the trappings of a suffocating moneyed domesticity in interwar Kansas City. 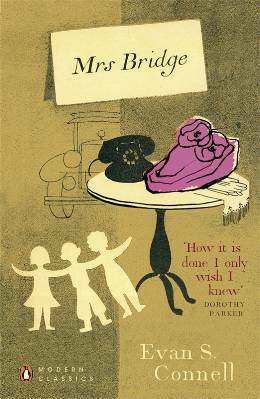 With unflinching realism Connell details Mrs Bridge’s struggles to understand those around her from a position of well-meaning but utterly shallow convention and deference. We see that this convention is all she has to cling to as her children grow up and rebel in entirely predictable ways, displaying an individualism she cannot comprehend. For Mrs Bridge deals in types of person each with their proper place, she has such trouble with names because she cannot connect with individuals, let alone the expression and non-conformity that might come with such self-consciousness. The irony of her surname, coupled as it is with so exotic a Christian name, in so parochial and disconnected a person should be lost on no one. Connell’s realism is made poignant by the humour with which he explores Mrs Bridge’s increasingly confused interactions with her limited world. Whether it be her doomed attempts to make her son conform by wearing a hat or the shock of some revelation about her absent but utterly dominating husband, Mrs Bridge’s uncomprehending alienation is constantly underlined by the absurdity of the situations she engineers for herself and the world for her. She rarely asserts herself except in the cause of convention – the correct use of cutlery or the treatment of guest towels – and when she does it is a well-meaning but uncomprehending failure. One by one she drives her children away. Every now and again, however, there are flashes of a deeper and repressed existential awareness, of ‘a terrifying inarticulate need’ for a past, for a future, that is the most human of all Mrs Bridge’s fears. She is spurred to try new things, but each time initial enthusiasm falls prey to a circumstance she might overcome were the will present. Yet she fails to assert herself and falls back into old rhythms once more. Connell controls all this with a fearful precision, allowing Mrs Bridge to edge closer to some existential epiphany, but always bringing her back to the surface before she becomes what Sartre termed ‘authentic’; before, that is, she decides to control her own fate by choosing the kind of life she wants to lead. 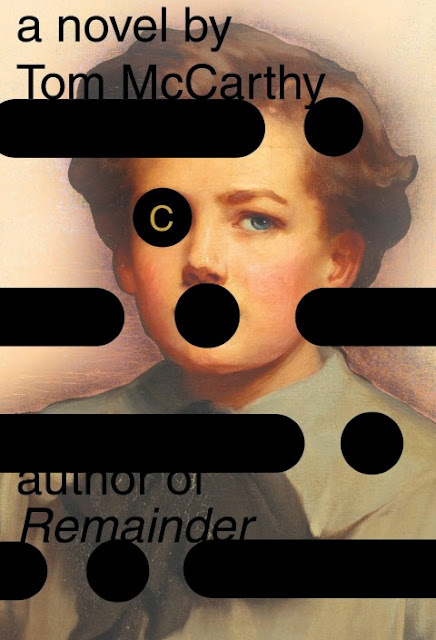 Yet Connell’s novel is more complex than a simple call to self-consciousness. In one episode he depicts the worst excesses of individualism with a violence which once again shocks, but cannot quite unbalance Mrs Bridge, at least not for long. The challenge is to find a position of rest between blasé propriety and outré excess; but such equilibrium will not come for Mrs Bridge because it requires some internal counterweight to the pressure of outward order. Her loneliness is borne of such a lack of self-definition and the repressed hopes and desires of a confused and unfulfilled promise. Mrs Bridge might be read as a comment on the predicament of the women of the interwar years, caught as they were between a stifling domesticity and burgeoning emancipation; it might be read as the peculiar disconnection of one woman in the conservative surroundings of Kansas City; or perhaps as a penetrating and unrelenting pursuit of the human condition made manifest in a confused, fearful individual whose central predicament is summed up in one question she herself asks: ‘Do you want to be different from everyone else?’ The contradictory answers we all give to such a question form the tense heart of this very good novel. Or from you local bookshop! 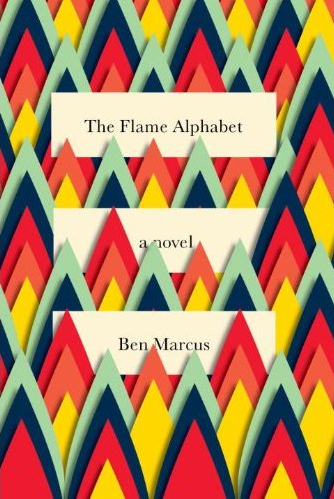 A discussion of the evolution of the cover for Ben Marcus’ new novel. I really want to get hold of this to review it here. When I finished writing The Flame Alphabet, Tom McCarthy’s novel C had just come out, with a dazzling jacket by Peter Mendelsund. 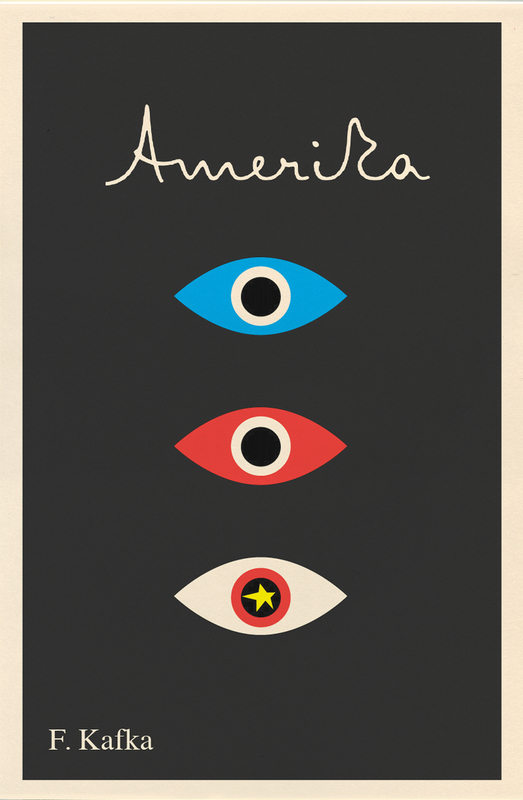 This confirmed what I’d been suspecting: Mendelsund is a tremendously strong, intuitive designer. 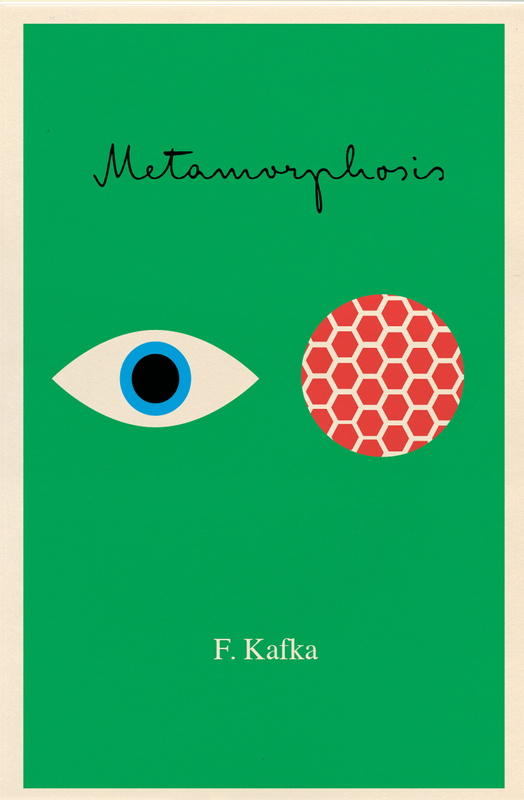 I’d already drooled over a few of his jackets, including the Kafka reprints he recently completed. And then when I met him, and we spoke a bit, I learned he was a passionate reader, a deep reader. 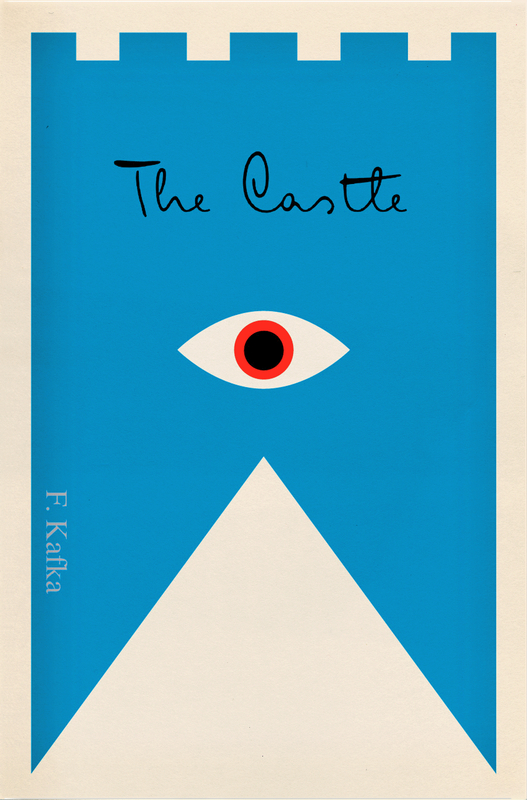 He knew The Flame Alphabet inside and out—had read it as closely as I ever could have hoped. While we never spoke about what the design would be (what on earth would have been the point? ), I knew then that my mission was very simple. I would stay the hell out of his way and let him do his thing. Turner, Monet, Twombly – a trio of sublime painters | Art and design | The Guardian. I would love to go to this exhibition. 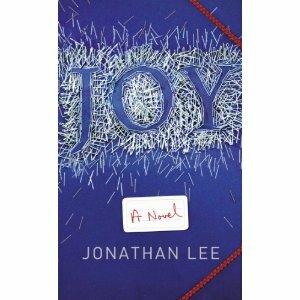 Part of the Man Booker Longlist Series.